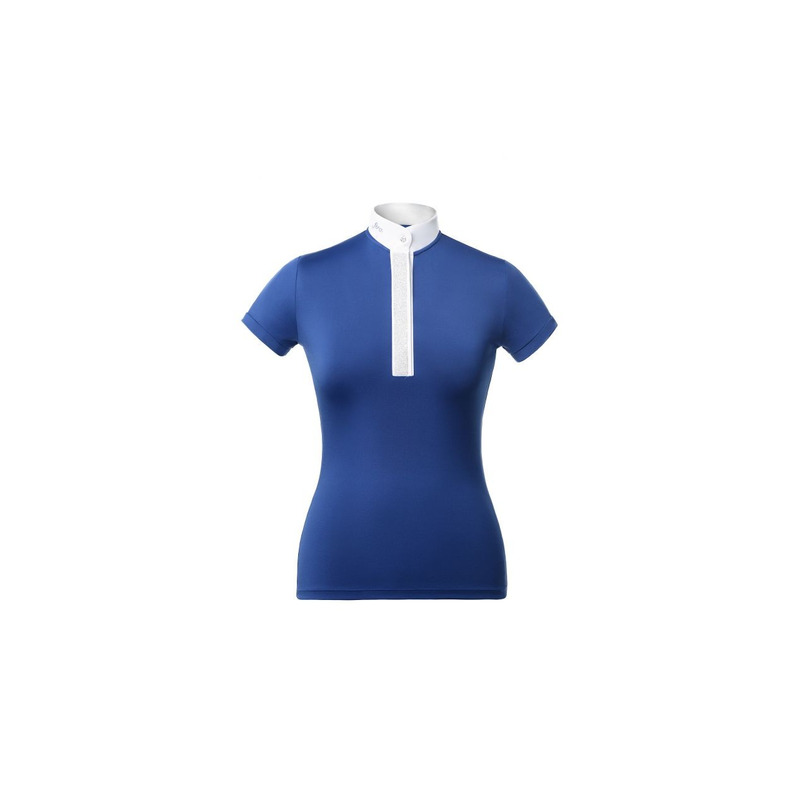 A competition shirt made with the “second skin” technology guarantees comfort even during extremely hot days. 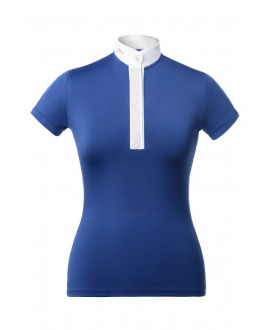 It’s made of fabric which is elastic in all directions, breathable and moisture wicking. The slim cut perfectly fits the body and ensures good wearing comfort. 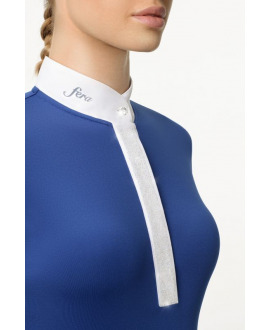 The shirt is embellished with original Swarovski crystal fabric and charming buttons also from the Swarovski collection. The embellishments are subtle, elegant and atemporal. The advanced HOTFIX technology used by Swarovski guarantees their durability for long time, even after many washes.